Jungle Red Writers: Is it a crime...to read and write crime fiction? LUCY BURDETTE: Every so often I get grilled about why I write and read murder mysteries. Why would I stake my writing life on serious crime and criminals? It's not a bad question. 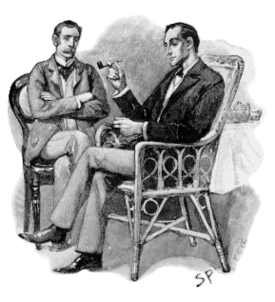 "Mystery novels are read worldwide, and have enjoyed unflagging popularity since Edgar Allan Poe created the first one. A recent study conducted by the publishing industry documents a demand by contemporary mystery readers to learn something while being entertained by a good story in which evil is never triumphant. Murder, the stock-in-trade of all mysteries, is the perfect amalgam of imposed morality (Thou shalt not kill.) and intellectual hunger (Why do people kill other people?) And nowhere are the tools for analysis of this duality more finely honed than within the various disciplines of psychology." Isn't that a wonderful mouthful--the perfect amalgam of imposed morality? What about you guys? Why crime fiction? For me, though, I have to admit, I was always more interested in writing about corruption than about the murder. What fascinates me is the rationalizations humans make on a regular basis and what they will tell themselves to cross lines that shouldn't be crossed. Not that one moment of misguided passion that causes them to actually take someone's life. HALLIE EPHRON: I write it because I love reading it. And because I can. I'd never be able to write romance, or comedy, or literary fiction. But I can create the drama of a crime novel, ratchet the tension and that something personal is at stake. And of course, I love the challenge (and satisfaction) of crafting an ending that comes as a complete surprise AND inevitable in retrospect. It's like being a magician. DEBORAH CROMBIE: I write crime fiction because, although I read many things, that's what I've always loved most, and British crime fiction in particular. I love fantasy but don't think I have the innate world-building capacity. I enjoy a good romance novel but like a bit more ambiguity in the relationships in my own stories. 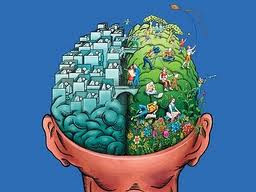 And crime fiction is, at least for me, the perfect combination of left-brain/right brain. I'm an obsessive plotter and outliner--I have to work out every story line in the novel from beginning to end and see how they're all going to fit together. Left-brain, check. But then the actually writing seems almost a completely different process. The words take over. Characters come to life and do unexpected things. The story takes twists and turns within the structur e that I never imagined, and sometimes the structure itself changes. Right-brain, check. I wonder if this dual engagement is one of reasons we all love reading crime fiction? Pattern, but flow within pattern. Hmm. Off to do brain research . . . .
HANK PHILLIPPI RYAN: Ah, what an interesting thing to have to think about! Ive been a TV reporter for more than 30 years..and I've learned that what I really love about my job---besides making things right and fair--is the storytelling. Sometimes, in doing my has-to-be-true journalism, I think--hmm, wouldn't it be interesting if....but of course, in reporting, the only reality is what is real. There's also the search for justice, and the good guys winning and the bad guys getting what's coming to them,and the desire to change the world a bit. In writing crime fiction--people say what I want them to say (ah, usually), and the story is as interesting and intriguing as I can make it. I wondered, when I began, whether I could make stuff up. Turns out, I do love it. Tellng a story that leaves people thinking--"wow, I'm surprised!" --what could be better? LUCY: Such interesting answers--but what else would I expect? Your turn Reds, we'd love to hear why you write and/or read crime fiction! OH, please. I sometimes get criticized about news stories we do: people say--you're going to give the bad guys ideas. I'm here to tell you--the bad guys already know. I'm quite up front about saying to people I write and read crime fiction because I like knowing everything will turn out all right in the end. Even if it's not a traditional happy ending, there will be justice. I like the reassurance of that, given how chaotic, frustrating, and unexplainable reality is sometimes. My 2 cents: Crime fiction chose me, not the other way around. I was trying to write a science fiction novel. It turned into a whodunnit on a space station. The throughline of a story had nothing to do with any of the things SF explores - it could just of well have been set in a small Adirondack town, with a police chief instead of the chief of security and a brand-new priest instead of a social worker helping displaced aliens. So I wrote that novel instead. I'm not sure why I write crime fiction. I just know that whenever I start daydreaming about a story, bodies start popping up. Not only do the bad guys not know, but 99% of the criminally inclined probably don't READ.